This one I've been waiting for long . I had the privilege to witness the process of coming together of the first edition of this project. In 2007 Marek Winiarski and Ken Vandermark invited musicians from all over the world to Krakow so had opportunity to practice for an entire week every morning, then to play improvised sets of music every evening and finally to perform as an orchestra on the last evening of the week (all of this material was released - Saturday concert in Lviv on LP, evening concerts and final concert in Krakow in a fantastic 10-cds "Resonance" box). 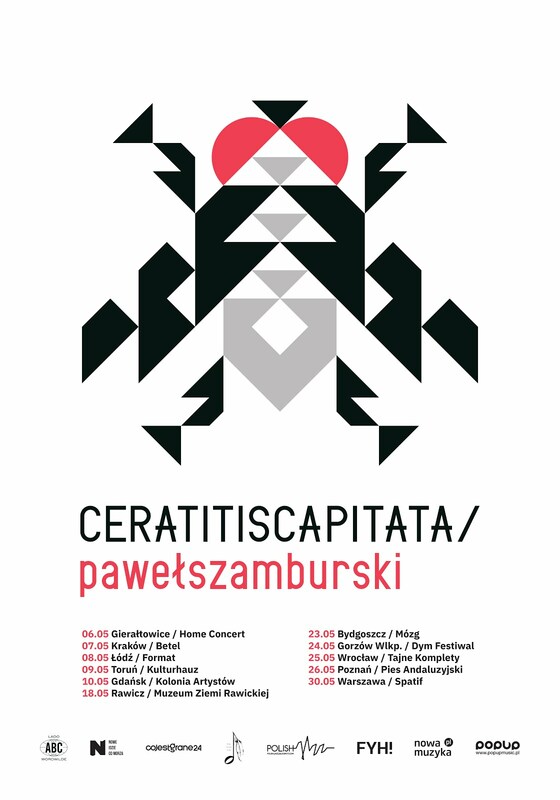 Two years later Resonance happens again, with the same line-up (one exception - Waclaw Zimpel takes over the place of Yuriy Yaremchuk), the same time of the year (main project of the Autumn Jazz Festival), the same place ("Alchemia" club which hosts the festival). For this venue Ken composed a series of modular pieces, a number of themes, motivs, bridges which, within the given frame of a suite, can be re-organized and re-ordered before each performance. Thus the constant elements can produce a virtually infinite number of orders, sequences - a different melody every time. You can read more about in the liner notes written by Ken himself. As impressive as this intellectual work behind the music is, it can also easily fill your mind with doubts whether this music is not overly conceptual. But I can assure you it's not! First tune "Pier (for Yutanaka Takanashi)" starts right away with a smoking solo by Steve Swell, no introduction, just straight into the business, with lightly swinging drums (fantastic audio realisation lets you listen closely to small differences in the way Tim and Michael syncopates), tuba and bass walking fast on the bass lanes and robust, roaring sound of the Steve's trombone soaring over. After the bridge there's another strong statement, a solo slowly getting its momentum, by Waclaw Zimpel (I'm guessing) on bass clarinet. Bridge is repeated, followed by a moody exploration (clarinets), cutted repeatedly by sudden brass section accents. Reed trio (Ken, Waclaw and Mikolaj) comes forward on clarinets with a beautifull improvisation (can't wait to hear their fresh release on Kilogram Records), and is gradually joined by brass instruments. Leaving spot for fine, adventurous duo between tuba and bass. A solemn, wonderfully orchestrated motiv (Ken utilizes perfectly the brass and reeds section distincion) introduces a great, free yet lyrical solo on alto (my guess - Mikolaj).Unaccompanied at the beginning, than pushed forward by drums, it goes into extremely high shrieking register when the motiv returns, duelling with Magnus on trumpet, piercing through the orchestra's tutti. To say the very least - there's a lot going on even considering the 20 minutes span of the piece. There's no sense in dissecting the three pieces (the review is already too long) so I'll just mention the nasty, funky solo by Ken, that starts "Rope (for Don Ellis)", very much like Spaceway Inc., gritty and passionate, with fantastic groove provided by the 4-piece rhythm section. And Dave Rempis pierces the sky with a complete saxophone madness exposition as the sharp chords sequence starts "Coal Marker (for Chris Marker)". Every musician has a spot to shine and they do shine indeed as the level of playing is absolutely fabulous, the focus and intensity of the execution at the top level. Its true that this one leaves more space for soloing (compared to the first edition of Resonance) but it's impossible to ignore the compositional work behind this group. All the elements of this musical puzzle are tightly arranged, with great sense of colour, dynamics, space. There's great balance to this creation. Between ferocious power of screaming horns and elegance of swinging rhythm section (and joyfull rides of trumpet or trombone on it), between the spontaneity and rigid form (which is not so rigid on the inside as the elements within are moved back and forth before every performance). Between improvisation - composition and ensemble playing - individual statement. There's a lot of big band history in this music and a couple of nods towards to 'new music' lands explored by Territory Band. There's Ellington in the suite-form, Mingus in the blues passion, Stan Kenton and Gill Evans in the attention to colour and touch of harmonic adventure. With an infinite possibilities of organizing the written material there's no definite execution of those compositions, but if Ken states that this concert (final on the tour) was the highlight, there's enough arguments here to trust him on that. 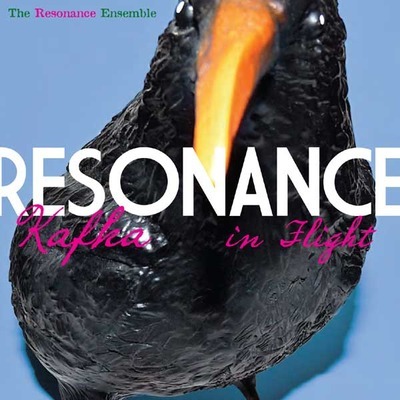 I'm hoping for a lot more coming from this group (cd was released right before Resonance Festival in Chicago an Milwaukee - with a set of new pieces prepared by Ken, inspired by poetry of Czeslaw Milosz, on the occasion of 100th anniversary of this great poet's birthday). In the meantime this is a great release, and you owe it to yourself to give it a try even if you don't like big groups.